I’ve seen conversations about how the Hugos are “just a rocketship” and that people shouldn’t be so invested in getting an award. And while that might be true on an individual basis, the Hugo awards themselves are a reflection of our society. I’m not just talking about science-fiction and fantasy fandom, but our larger society. Now, since the Hugos are dominated by English speaking North Americans, I’m mostly going to be using US-centric examples, but these general trends are true in other places as well. One of the things about fiction in general, and even more so with SFF, is that it tends to reflect the zeitgeist of the culture. For instance, during the “golden age” of SF, the United States, and much of the world, was focused on space. When you look at fiction of that era, it tends to be dominated by space exploration. During the Cold War, we saw a lot of post-apocalyptic worlds that were nuclear wastelands. Now? When we see post-apocalyptic worlds it’s because of a climate disaster. In addition to reflecting environmental concerns, the awards also reflect what is important to the voters. Not just in the books that they vote for, but also in the books that they choose to read. In recent years, people have become aware of the imbalance in representation in SFF and are seeking to address it. This is happening in other fields as well — science, gaming, film, politics… but we are always most aware of an issue in our own community. So when people are seeking out books by underrepresented populations they are doing so because it’s important to their close community and also in the larger society. Historically, every time there’s an advance in the rights of a disenfranchised group, whether that’s women’s lib or desegregation, there’s a corresponding pushback by the dominant group because it feels like it is losing power. What we’re seeing with the Hugo awards is that readers & writers who have not been represented in SFF (women, PoC, LGBT) are becoming prominent because of a larger zeitgeist that is trying to redress historic imbalances. Again, we see this in other communities as well. The pushback by the various Puppy contingents matches other historical pushbacks. On their side, they think that fiction is being dominated by “checkboxes” rather than quality, which is the same reaction people had to hiring women during women’s lib or minorities during the civil rights movement. The reason that the Hugos are more important than just a rocket ship, is that the Puppies also reflect the larger societal pushbacks that we’re seeing against women, PoC, and LGBT. So the Hugos represent a battle in a much bigger fight. Very well said. Sad part is this pushback is souring a lot of people on the Hugos. It saddens me how many commentaries, articles, and even youtube videos are declaring that this is ringing the death knell for the Hugo Awards, since the pushback is mechanically hinging on gaming a system that is inherently broken in the internet age. As I told one of “them” the other day, last year’s winner of the Hugo for best novel completely refuted their posturing. I won’t say why, for spoilers sake but I think anyone who read it will understand. That’s the best of what SF is about and, as you put it, showing how the world can be via our fiction. Truth. Let’s hope some people learn and do better next year. Sports, too. With my two Twitter accounts – one personal and one professional – I often get confused as to which battle against which -ism I’m trying on which account. Today is Puppies on @davehogg and sexism on @stareagle. Although athletes are also blaming God for each other’s injuries, which is at least a new debate. I’m hurting. I voted against the puppies. I made sure to vote against the Rabid Puppies because I thought what they were doing was wrong. But I’m hurting. When I heard about the slate I went and looked at last years Hugo winners. I was so disappointed. There was not anything I wanted to read. I’m really glad the puppies lost but I’m hurting. May I ask if you actually tried any of the winners last year, or did you just look at their summaries? I had already read Parasite. Parasite was a good book just not my taste. I tried Neptune’s Brood and Ancillary Justice and I couldn’t get through them. Neptune’s Brood starts slow and bogs down totally. The main character of Ancillary Justice was being willfully stupid and I just couldn’t read it. I read the first 6 books of The Wheel of Time in the 90’s and when I realized it was going nowhere I stopped. I didn’t try to read Warbound because Correia hurt me pretty bad with one of the Monster Hunter books and I just won’t trust him anymore. I tried. Thanks. And I guess you don’t read short fiction… Yeah. 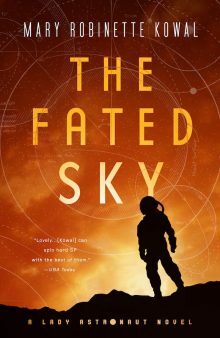 I’m not always a fan of the book that wins, although I did very much like Ancillary Justice. I will say, that if you enjoyed the beginning of Wheel of Time, Brandon Sanderson does a fantastic job of getting you up to speed again if you skip the middle books. The last three novels are really darn good and remind me of the way I felt when I read the first book in the series. PeterG: did you nominate for last year’s Hugos? Did you vote in last year’s Hugo races? If not, who is to blame for the fact that the choices did not reflect your preferences? Super big thanks to Mary for sponsoring supporting memberships this year. She only told people TO vote, not HOW TO vote. Which is as it should be. Foz Meadows wrote a great thing today about it. Mary: don’t play with the prairie dogs next weekend. The name of that con is only kind-of a joke! ABQ fandom are good folk. And the Hatch chilies are in season now, don’t miss those! Noted about the prairie dogs! I wasn’t aware of any Sad Puppy shenanigans until this year’s Hugo nominations became public. The growing push to utilize “No Award” on the ballot gained much support, but I felt the nominated artists should have been given the courtesy of voting for who I thought deserved the top honor in their respective categories. The ballot had names of women and men who did their best, and I couldn’t see why they should be the ones shunned for the actions of others. So I placed “No Award” higher on the ballot than any works from Castalia House and anything associated with Vox Day. From there, I did my best to read and listen to every other nomination, then voted for which ones I believed to be the best in each category. Mary, it’s one thing to assign misogyny, racism, and LGBT discrimination to the Puppies based on their own words, but you then stated “the Puppies also reflect the larger societal pushbacks that we’re seeing against women, PoC, and LGBT.” What exactly are these pushbacks and to which larger segment of our society are you falaciously assigning these qualities? Every day, I see many posts on social media stating all conservatives practice these despicable traits solely because of their political beliefs. So many believe this to be true that simply repeating this mantra sticks. Because of that, I have gone quiet when otherwise I would have defended myself. I hate that, but I want my publishing credits to accelerate. 1. The rulings in multiple states to make abortion illegal, which is a pushback against gains made in women’s rights. 2. GamerGate’s attacks on women who call out misogyny in gaming. 3. Ferguson and the continuing attacks on black women and men. 4. Cries to close the borders to immigrants. Do I need to find links to these things, or do you recognize them? I think you misunderstood me. I didn’t mean that a larger segment of our society was doing this, but that this was happening outside just the boundaries of science-fiction and fantasy. It’s also not something that is the provenance of any one group. People who think of themselves as liberal are every bit as capable as someone who thinks of themselves as conservative, of having a kneejerk reaction and regurgitating the prejudices that they were raised with. Can you tell me what made you feel that I was singling out a particular group so that I can edit the post? “Trying their best” isn’t good enough for a Hugo. Everyone who finishes 4th-last in the Olympics is “trying their best”, but they don’t get medals. You have to really excel. It’s not a participation award. “No Award” is there for the express purpose of saying “I don’t think anything here is worthy of the highest honor.” Which, IMHO, the Puppy nominees weren’t. One of the short stories was serviceable and might have been worth a Hugo in the 70’s, but workmanlike isn’t enough for a big honor. I personally have voted “No Award” sometimes before the Puppies ever thought of writing — and I voted one of this year’s winners below “No Award” as well! The Puppy nominations lacked the ol’ sensawunda… which, ironically, is what they were complaining we don’t have enough of these days. I’m not sure some of them even qualified as stories, really. A recent winner, one that got the Pups so riled up (they called it out by name* repeatedly) “The Water That Falls On You From the Sky” had a fantasy concept I’d never seen, lovely writing, vivid description, well-drawn characters, and a beginning, middle, and end, with an arc for the main character. That’s a good fantasy story! It lingered with me, and I read it twice when I first saw it and again before the vote. I don’t even remember what it was up against. But I sure remember it. As for the larger societal pushback, Mary explained those really well. If you aren’t familiar with these issues, you are so so incredibly lucky. *sometimes they called it by name; more often they referred to it jeeringly as “magic rain and the gay Chinese guy”, which is just a mite bigoted, IMO. Sally, thanks for the focused comment. I only meant that my votes were limited to what was on the ballot, and I read everything I could to be as well informed with the works represented. There were some things on the ballot I just plain didn’t like that ended up below the No Award, but overall, I didn’t compare the nominations with ones that weren’t on the ballot. Sure, we all have our own criteria with what should have been on the ballot, but I gave the works on the list the best attention I could prior to the voting deadline. I hope slate nominations are never an issue again after the changes currently being made. And I certainly hope the Sad Puppies realize that their way of rectifying that which they imagine the problem to be is best overcome by focusing on outstanding stories like your short story example. The Puppy fiasco is embarrassing for me because I try to keep my conservatism out of my writing. I strive to entertain, not push any point of view. I didn’t compare them with what didn’t make the ballot either except to the extent that I asked myself the question of if I would be willing to recommend it. I’ve recommended books that I didn’t personally like before, because I thought the person I was talking with would connect with it. So, quality. Thanks for your reply, Mary. I didn’t know abortion has been made illegal in some states. What little I know about GamerGate came months after it began. I was surprised that some gamers had an issue with women in gaming. It is beyond me why anyone has an issue with men or women in any pastime. The Ferguson thing got blown way out of proportion before the facts came out. Sad for our country. As for the borders, I do believe we should close the borders to illegal aliens, not lawful immigrants. I am sensitive to the vitriol directed at conservatives, so when you first linked the “Puppy contingents” pushback with historical pushbacks against women and minorities, and since it is well known that the Sad Puppies originally came from a sense that conservative authors had been historically pushed aside, my sensitivities to open strawman falacies concerning conservative beliefs kicked in. The Puppies reflection of larger pushbacks naturally made me think you referred to conservatives and conservative groups. I apologize if my comments led to your thinking you might edit the post. You shouldn’t, in my opinion. You are an intelligent person, and I enjoy listening to your podcast every week. I still hold the story narration class you held at Denvention 3 in 2008 high on my list of useful convention classes. If that section of your post above was ambiguous enough for me to comment, the reason falls on me. There are times I just have to say something when the feeling strikes me. In your reply, you said that liberals and conservatives alike are capable of similar reactions. I agree wholeheartedly! Human nature and the vagaries of individuality recognize no political differentiation. To be fair it is still technically legal in the US, but some states have made rulings that are so prohibitive that it’s only a technicality. I would really love it if one of you anit-puppy people would explain to me why when gay people(3-5% of the population) are not represented in a large number of nominated works and authors its a travesty we need to correct, and when black people (13%) are not represented its a travesty we need to fix, and when transgender people(.01%) are not represented its a travesty which cannot be let stand, but when conservatives (20-30%) are shut out completely in every category year after year that’s just fine, nothing to see here, and if conservatives respond to this by taking action to get on the ballet that is something that must be fought tooth and nail, with no quarter give and No Awards given out lest they be made to feel at all welcome. How can it be that every single group must be made welcome and see representation of themselves, no matter how small a percentage of the population they are but none of this applies to conservatives. The idea that conservatives have been shut out of the Hugos is demonstrably false. Just as one example — I’ve seen Brad Torgersen say that he felt that the fact that he was Mormon was held against him. And yet, Brandon Sanderson, who is also Mormon, won two Hugos last year. Mike Resnick is regularly on the ballot, and wins. Eric James Stone. Dan Wells. Robert Silverberg. Now, to your larger point, which is why representation in fiction matters — It matters because everyone should have the opportunity to see themselves in fiction. It’s been dominated by straight white cis men for decades. Bringing in broader viewpoints to the fiction not only makes it richer, it also develops a larger market for it, which in turn gives more stability to the authors already writing. So, honestly, if nothing else drives your interest, it just makes good sense. You asked, “How can it be that every single group must be made welcome and see representation of themselves, no matter how small a percentage of the population they are but none of this applies to conservatives.” Of course it applies to conservatives. No one is saying that people who identify as conservatives should stop writing books, or buying books that they like. But people who aren’t conservative are also allowed to like different things, and to want to read different things, and to see those represented. My preferences for fiction reflect my values and tastes, and they don’t interfere with your reading choices. I mean… I’m sure you don’t mean it, but when people demand to know why [x] population should be represented in fiction, it sounds like what they are saying is that [x] population doesn’t have the same right to exist. If we can represent populations that don’t even exist — elves, dwarves, dragons — why can’t we ask for fiction that represents us? My understanding is that the business meeting Sunday garnered a bunch of changes to the rules which are likely to make it very, very difficult if not impossible to game the system… at least by anything to do with slate voting. The easiest of them is simply changing the nomination numbers: instead of having five choices in a category and each person being allowed to nominate five options — which, let’s face it, makes slate voting Really Easy — they’re going to have six choices in a category, and only four that each person is allowed to nominate. This alone makes it vastly more difficult to capture all the nominations in a category, since you can put out a slate with six names on it, but no one person can nominate your whole slate. You’d need to divvy them up somehow, which is very hard to do with voters. Otherwise, they’d choose the four they liked best, or (if they hadn’t actually *read* your slate, just support it for political reasons) they’d choose four at random. That would mean you’d be likely to get a few items on the ballot, but not all of the items in a category. And there are a whole bunch of other changes coming; that’s just the easiest to implement (and explain). As a white, 57 year old male I’m very happy to see SF branching out to new areas – something it desperately needed to do as the genre was ironically stuck in the past and losing its audience. I’m equally saddened, that in a genre which I’ve always believed fostered enligthened thinking, that history is repeating itself once again as change comes about. SJW’s always lie. Nice attack on Sarah Hoyt, you lost me as a reader. This is the apology I made to Sarah on her blog yesterday. She hasn’t let it out of the moderation queue although she has posted more about me. At no point did I say you were racist. I also read more than just the dictionary, and know the historic usage. I’m familiar with Chinese Communism because my brother’s PhD was about it, but I hadn’t encountered the slang before. Why? Because it’s not in current use academically because it’s an insult. Now, you say that you didn’t know the word either. “How could I introduce you to a word whose meaning I don’t KNOW” Did you not mean it to be insulting? Because if you didn’t, then I apologize for misreading your intentions. But if you did intend it to be insulting… it’s an insult that can only be applied to someone who is Chinese, as opposed to something like “Commie.” The *only* reason to use it there instead of Marxists/Commies/Pinkos is because Three Body Problem was written by a Chinese man. That’s what makes it a racial slur rather than a political one in this context. I fully grant that you didn’t realize that this is the current connotation for it and apologize for pointing it out online rather than letting you know privately. And this is why I puchased my first ever supporting membership. This would contradict the idea that quality is paramount. Especially troubling is that Puppy Leadership has a high percentage of Women of Color, and some write sympathetic Gay characters. It doesn’t, although I can see how you got that from this line in isolation. What I’m actually talking about in our field is the signal boosting that people do to make others aware of work by marginalized populations. The quality still has to be there. It is a shame that qualified, “marginalized” women were penalized in the No Awards Backlash. I agree completely. Toni Weiskopf and Sheila Gilbert are both fantastic editors. That’s part of why I was opposed to the blanket No Award strategy. Innocent bystanders are often hurt by boycott actions. That has, unfortunately been true for the entire situation. Even before the awards ceremony, when you look in the short fiction categories and who would have made the ballot were it not for the Rabid Puppies actions. I want to be clear that I have no problems with someone enjoying a John C. Wright story. But the Hugos nomination process was designed to show a broad spectrum of tastes by sampling lots of individual voters. Only the stories that wide range of people have read and enjoyed make the ballot. When a group votes as a bloc, as the Rabid Puppies did, it breaks that process by favoring the taste of a small group. I would be upset at a slate, regardless of who did it. Likewise, I agree with you that No Award as a blanket vote was not a good strategy, though I totally understand why it happened. I would have liked to have seen Sheila Gilbert, or Toni Wieskopff, or Mike Resnick — yes, even though he’s an straight white male — walk out with a Hugo. But I also understand why they didn’t. And that is important, too, in the bigger picture because when there is one organized bloc of voters, the only way to counter it is by creating another bloc. I really, really, really hope that bloc voting doesn’t become the future of the Hugo awards. Then we get into a party system and it stops being a truly democratic process. From what I gather (without a lot of investigating) the rule changes in the process will do away with blocs. Then the Hugo can be without-a-doubt broad based. Thank you for taking the time to converse with me. Lou, if i can rift off what you said. As a white, male, engineer, I love me some Scifi/Fantasy, experiencing different cultures, mysteries of life, new ways of solving old problems. Sometimes those are fictional cultures, sometimes not, but I love it all and want to experience even more variety. As a white, male, engineer, I got called sexist last year for voting for Brandon Sanderson (and Robert Jordan) over Ann Leckie. Regardless of which books I liked better, which I thought was a greater achievement in writing — No, the only “acceptable” vote in one circle of my friends was the “SJW” one. No room for debate. This year I didn’t both to vote. I would have liked to vote for Jim, but I didn’t think “Skin Game” ranked – though I could have been lead to for “Changes” in 2010 – and even thought I think Jim is a terrific person, that vote is tainted by who nominated him. Two other authors turned down nominations this year because they were on one of the slates, making way for our eventual winner, the 7th in the nominations list. New Mexico: Land of the flea, home of the plague. That is a remarkable stretch. Truly. While it is certainly true that it can only be applied to Chinese communists, that’s rather the point. To differentiate the communism practiced in the nation of China from that practiced in other nations. It is a contraction of two words, nothing more. Such contractions are common in certain professional circles. It is no more a racial slur than CASEVAC. I’ll stipulate that it may well have negative connotations. But those derive entirely from the reprehensible acts of communists in the nation of China, not from a racial slight. The inclusion of Chinese is, once again, merely to separate those acts from other reprehensible acts carried out by communists in other nations. Furthermore, I have been unable to find any support for the contention that this is the current connotation, outside of the one source, dictionary.com. Forgive me if I find this uncompelling. I’m am left to wonder if your eagerness to jump upon this perceived iniquity of Mrs. Hoyt’s is indicative less of a desire to address racism and more of a desire to undermine Mrs. Hoyt in the public eye. I would be pleased to learn I am wrong regarding your eagerness. Here are three sources from academia about ChiCom. I picked print books, hoping that you will take those as being more reliable than the internet. Thanks for responding, I appreciate you taking the time to pull together some sources. Unfortunately, those sources seem to contain only one reference to ChiCom apiece, and of those references only one lends any credence to the notion that it is considered an ethnic slur. I haven’t found any additional information to substantiate the contention that it evokes ethnic hatred from the Korean War era, and I’m not sure what the foundations for that contention might be. Perhaps someone with more historical background on the Korean War era could provide information? With only these examples I’m hard pressed to see how the accepted meaning of ChiCom, Chinese Communists, has undergone any shift toward a racist slur. The heavily weighted majority of what I could find regarding the term (everything, in fact, other than one of the four items discussed here) and my own experiences indicate that it’s popular usage remains a reference to Chinese communists with no component of racist insult. That it may be considered a term derogatory to Chinese communism, I still stipulate. I find derogation regarding communism no more egregious than that regarding Nazism. Philosophies soaked in so much blood are deserving of far more potent epithets than ChiCom. Perhaps if there are some sources available outside of a Google book search that support the contention that there is any racist component to the phrase, I could revisit this. In light of this, I find the subtle condescension of your apology distasteful. The impetus to lecture someone, in the public eye, on a word whose meaning you admit you did not grasp does not speak well for your intent. Still, I would be happy to be proven wrong. Chicom is a term I came across decades ago to separate (a) the Chinese communists form the Soviet communists; and (b) the Chinese communists from the Chinese nationalists who had fled to Taiwan. It came to make a statement about the quality of their manufacturing. I would point out that, for example. your point on “pushback” on closing the border to immigrants is incorrect. The pushback is to closing the border to ILLEGAL immigrants who have bypassed the in-place processes for immigrating to the US, by simply crossing the border, and, de-facto cutting ahead of those who follow the established process, paid their fees, waited their turn for approval, etc. And as an IT guy, there is massive pushback against the wide-spread abuses of the H1b Visa program: the tales of Disney and Southern California Edison are instructive here. REPLACING their staff with much-cheaper imported H1b labor (instead of the official requirement to SUPPLEMENT skilled labor that we’re currently short of. . . ), and in some cases, being required to **train** their own replacements. That’s a CLEAR abuse. . . Both are violations of the long-standing compacts between the US and its’ citizens. We welcome LEGAL immigrants. On the other hand, we also don’t want cheap illegal labor (which, BTW, is easy to exploit: complain, and somebody calls La Migra. . .) being used to replace American Labor just so the members of the Chamber of Commerce have better bottom lines. I agree with you about companies exploiting the labor forces of other countries. In many cases it’s like out-sourcing slavery. As for the border…I don’t think it is as simple as the example you provided. Take, for example, the reaction to the child refugees last year. I don’t seem to see any callout for internal “gang violence”, and the article you noted even said that the President was seeking “flexibility” in applying law to them. I also take difference that all of these “refugees” are actually children: they placed several of these alleged “children” in my youngest daughters’ school. One of which had not only children, but a grandchild, and yet claimed to be 17. Her daughter, mother of the grandchild, claimed to be 16. No matter how much New Math (and yes, I know I dated myself with that reference. . .) I try, I simply cannot conclude that all of these “children” are, in fact, actually children. I have seen similar reports in the media, so I suspect my anecdotal evidence has been repeated in numerous communities. And I wonder why these “refugees” have not been settled in neighboring countries, ones that share their language and culture. Of course, I ask similar questions of the Syrian Refugees, and wonder why Saudi Arabia, Kuwait, the UAE, Bahrain, and Qatar aren’t taking refugees of their own language and culture, while Europe and the US are. . . I was wondering if you would weigh in on this matter. Mainly because you are far more eloquent than I, and I had hoped you’d toss your two cents in on this matter. I am not disappointed either. Was reading an article recently about in vs out groups, and from what I learned within those discussions, I agree strongly with your observations on change, push-back to it, and this being just one more battlefield in a larger society fight for our future as a culture and civilization. But for those who should have, could have, might have been honored this year to have lost that chance due to… *hand waves* THAT makes me sad. Yes, it is an ugly part of the process sometimes, but… *censored* not fair. It was I believe originally a military acronym. (possibly it originated “in the trenches” so to speak in the Korean War and then was officialized). And yes it is used as a statement about the quality of manufactured products. “Chicom AK’s” is a common term for those AK-47’s manufactured in China by the Communist government, and are universally held to be the poorest quality of any AK available. I use this example because AK’s were manufactured by practically every Communist government in Asia and Europe, and are something many people have the opportunity to compare between. While a lot of people may denigrate tools made in China, they are usually comparing them to similar tools made by non-communist countries like Japan or the USA, few people have the opportunity to compare Chicom manufactured wrenches to those manufactured in Bulgaria or Czechoslovakia. I appreciate your views on this, Mary, and I hope that you are right in that quality is still the top consideration being elevated in the HUGO voting process. As a fairly frequent commentor on the Conservative side of several issues in the culture war (not so much on my blog…mostly on Facebook) I can see a slippery slope towards reverse bigotry forming against the messengers of Conservatism. One publishing employee once actually said to me, “Conservatives are less creative, so I don’t waste my time reading their work”. When I told this to a Liberal very close to me personally, she agreed! Deliborate repression toward any group, for the sake of the group, would damage Science Fiction for the same reasons that missing representation in the stories does. No one should vote against a work because of the politics of the author, but I hear that there are those who do so, and then make lame excuses for it like one one that i quoted above, because a popular and/or financially successful voice is a louder voice for any causes that that voice represents.